The Barvikha Luxury Village Concert Hall in Moscow was designed by an Italian architect, Antonio Citterio. The project was conceived in conjunction with the development of the Barvikha Luxury Village complex and is part of a unified architectural ensemble. 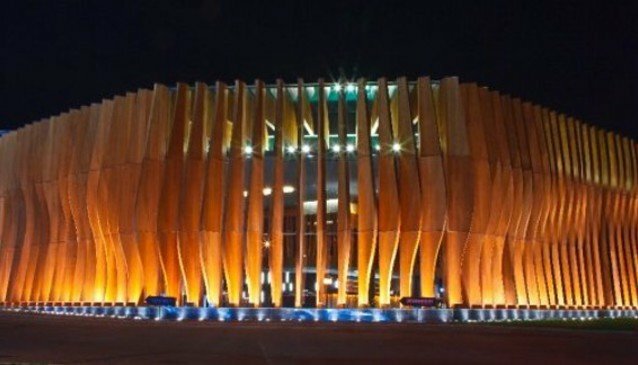 The facade of the Concert Hall, tastefully made of glass and wood, creates the illusion of swaying motion in the air. Due to its unique architecture, the building stands out among all that surrounds it and at the same time perfectly complements the surrounding Moscow landscape. The Barvikha Luxury Village Concert Hall has ultra-modern technical equipment and perfect acoustics. It is unique in its technical characteristics. The stage floor sinks or rises depending on the event needs. The space can be transformed from a stage for children's theatre to the venue for fashion shows or an exceptional ballroom. This is the only concert hall in Russian where you can stage so many events of a different nature in the same area. It is completely adaptable and state of the art. The internal space is designed so that the stage can be scene equally by all, not matter where you are situated in the auditorium. All 750 seats offer almost the equivalent experience. Ticket prices for events at the concert hall vary depending on the nature of the event - ranging from 500 rubles for children's plays to 2000 rubles and upwards for concerts of world famous artists.